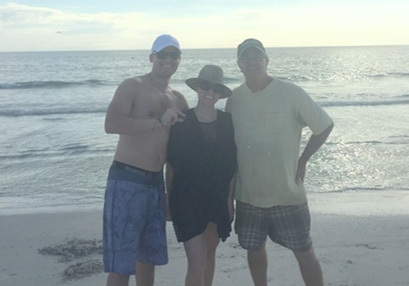 Renata was enjoying a day at Honeymoon Island State Park on the beach with her family and friends. 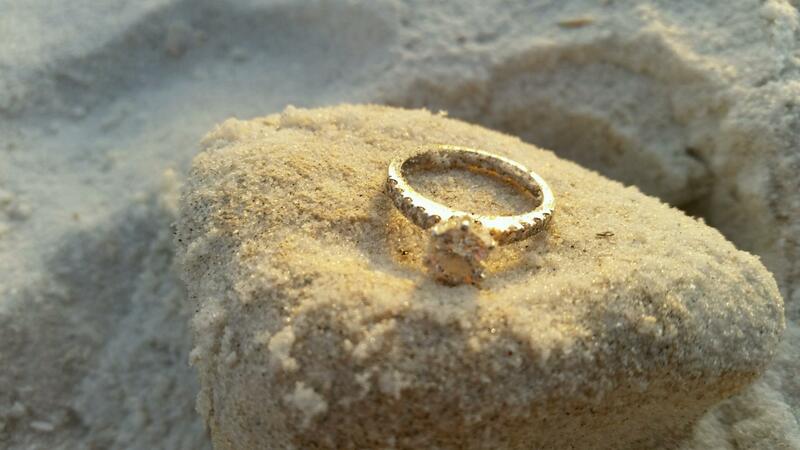 She dropped three rings in the sand and was unable to find her wedding band. She contacted the park ranger and was told to call SRARC Ringfinder Howard Metts for help. 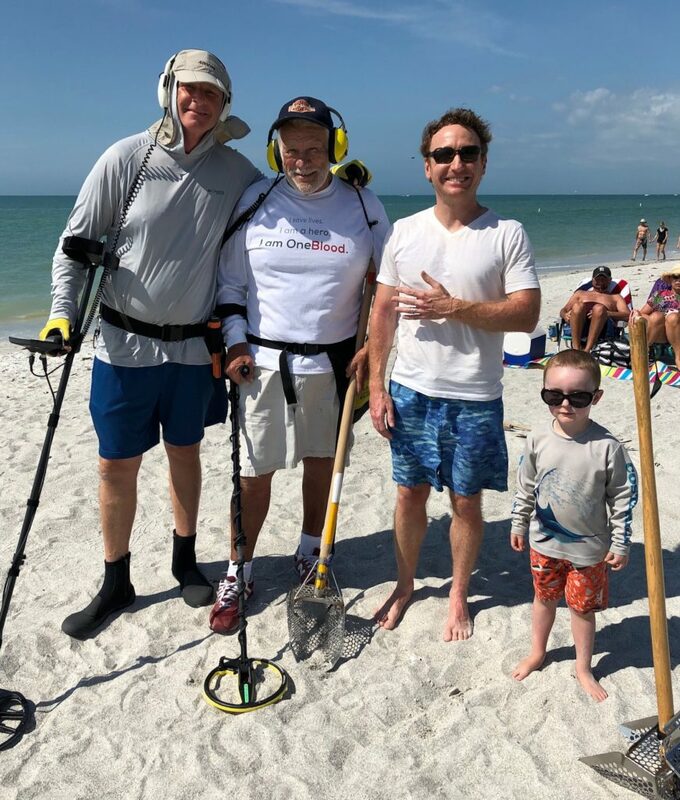 Howard received a call and was on the beach to do a search. 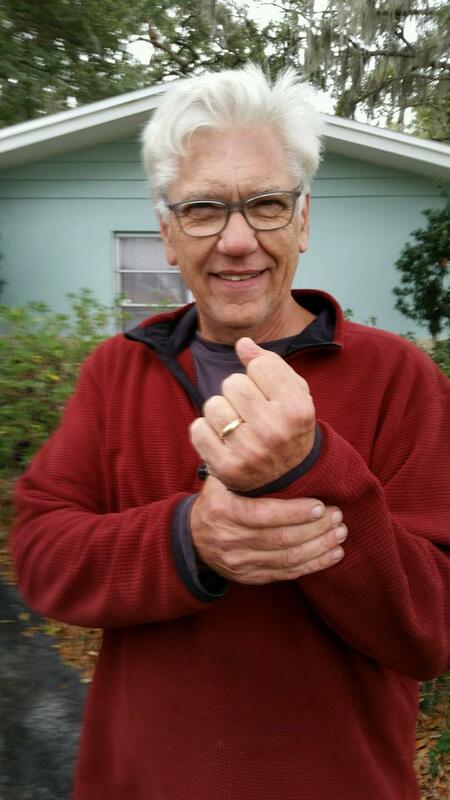 Within five minutes Howard found the ring! Turns out that Renata just received her real estate license and works for the same brokerage as Howard, Future Home Realty. 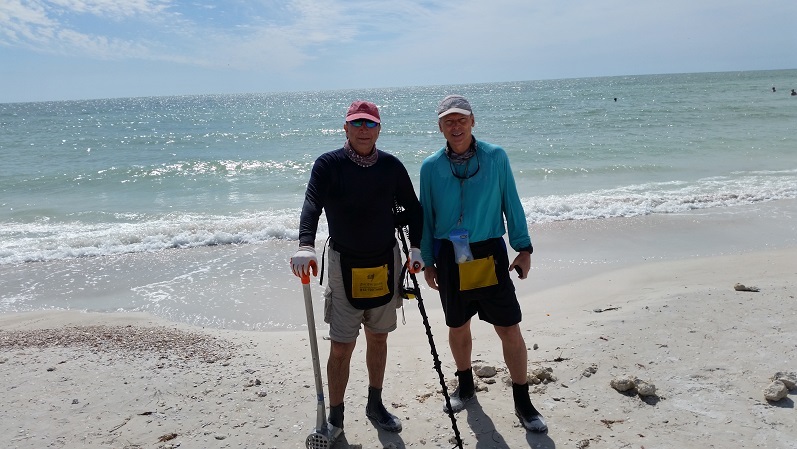 Chris traveled from the Chicago area and was staying on Sand Key Beach visiting family. 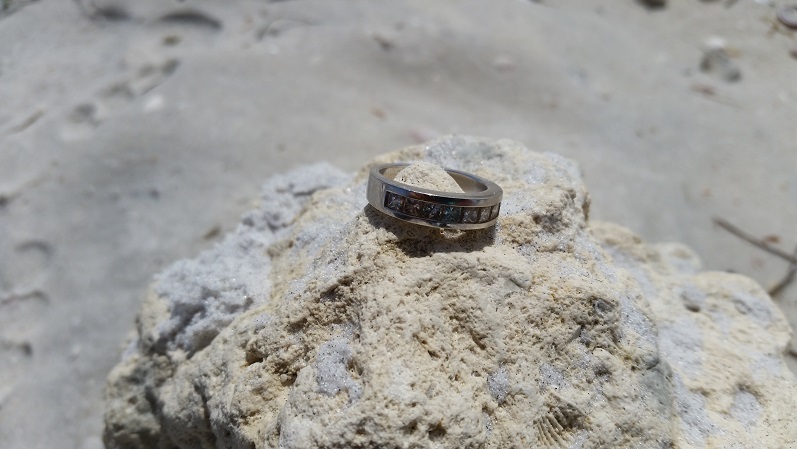 He noticed his platinum wedding band was missing, and the last time he remembered seeing it was when he placed it on his lap to apply sunscreen. 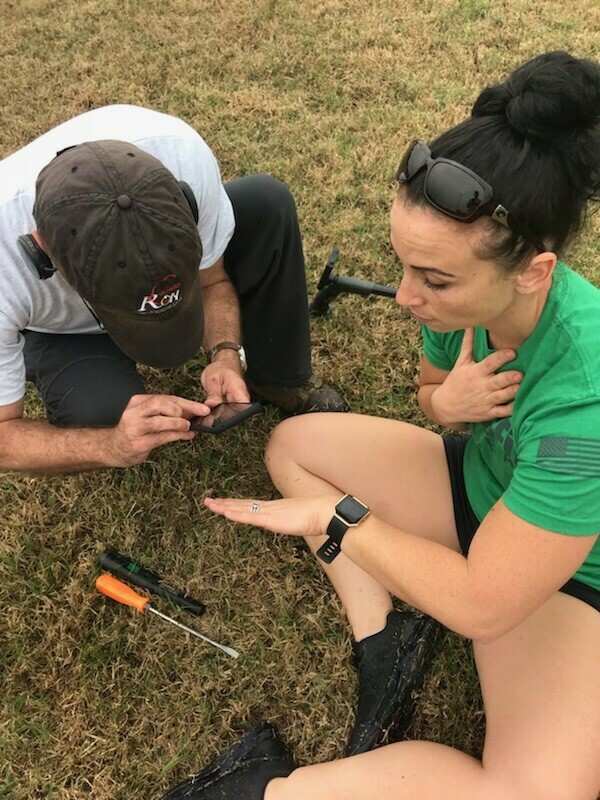 He found The Ringfinders, and Howard Metts put out a notification. 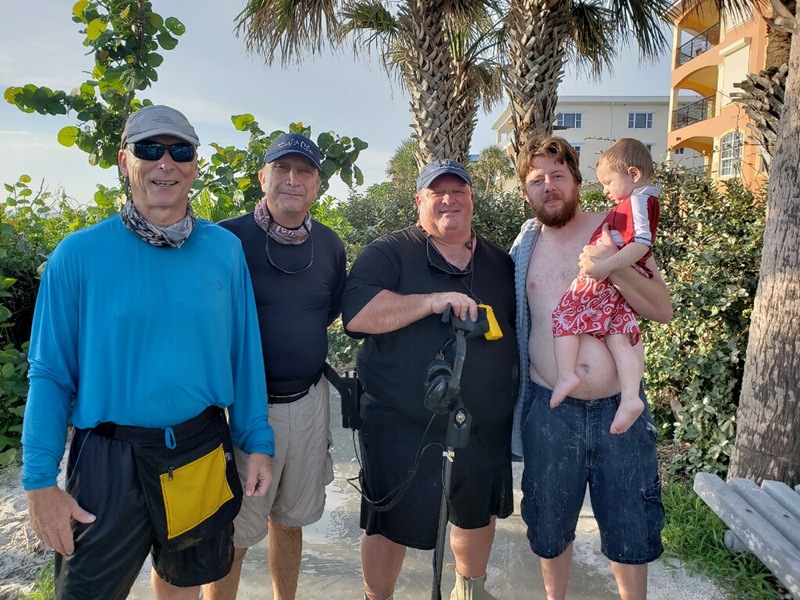 Bill Gallant and Mike Shuler met Chris at the condo and were escorted to the area on the beach where his family was gathered. In less than 5 minutes, Bill was holding up the ring! 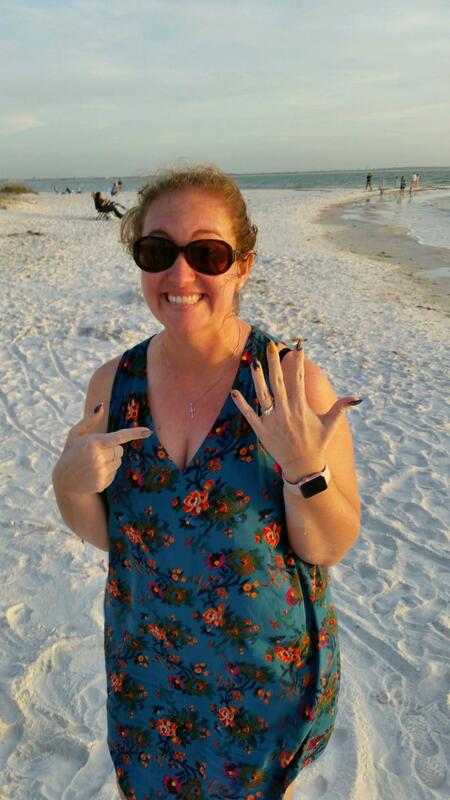 Audrey was visiting with her inlaws and went to the beach on Honeymoon Island State Park and realized her wedding ring was missing when she was leaving. Her father inlaw Mike was with her and alerted the park ranger who had them call Howard Metts to help. The next day Howard Metts and Dimitur Alipiev met (Mike) at the beach. 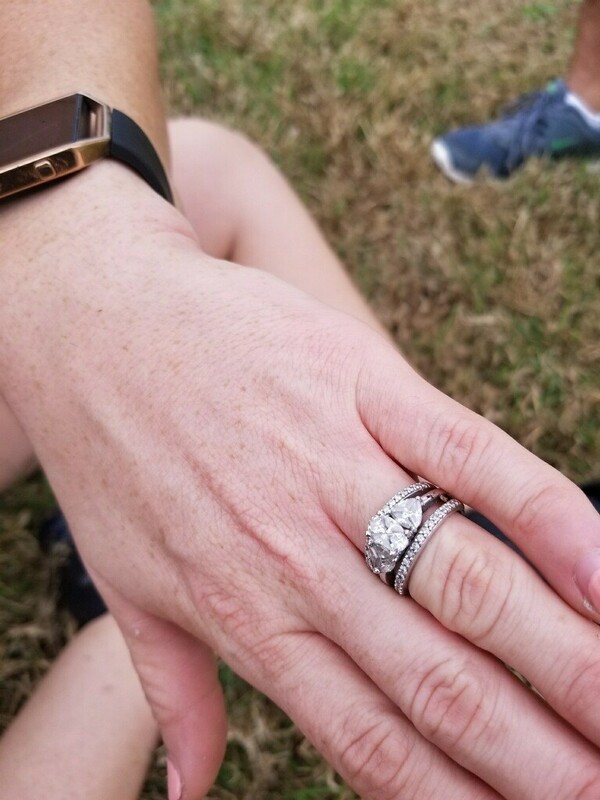 Audrey was in the water throwing a ball when the ring slipped off her finger. 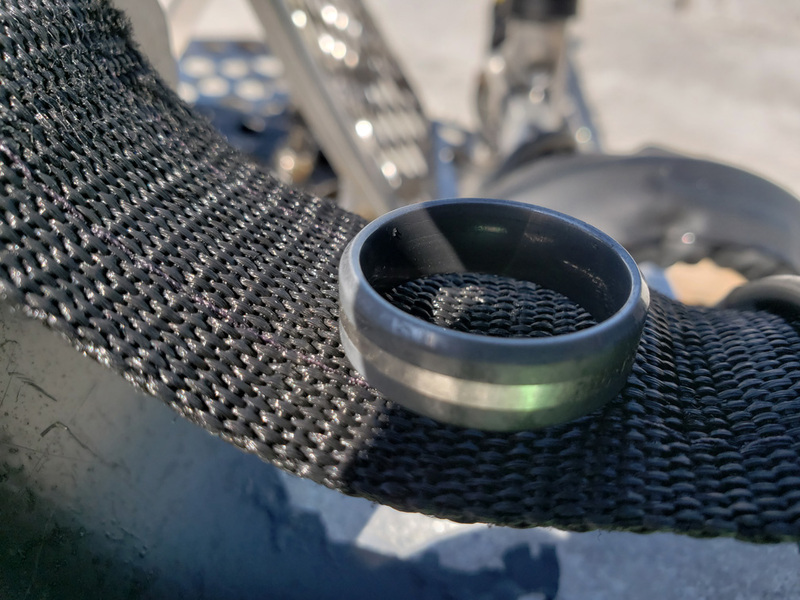 After about an hour of searching, Dimitur Alipiev heard a good target and came up with the ring. Mike watched us coming in from the water and assumed we were giving up the search. 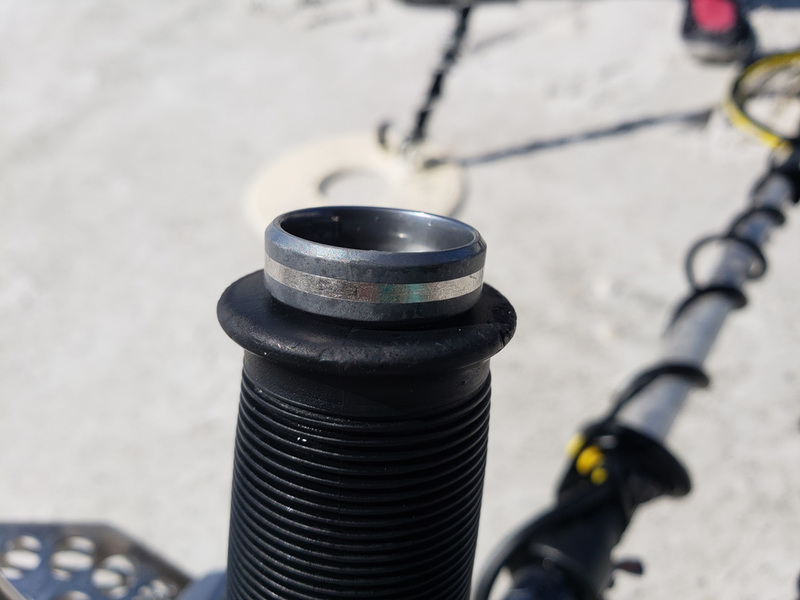 Upon seeing the ring he was amazed we could find it after a day in the water and very Greatful. Howard texted a picture to a very happy Audrey who was on her way home to North Carolina. Great job Dimitur on the recovery! 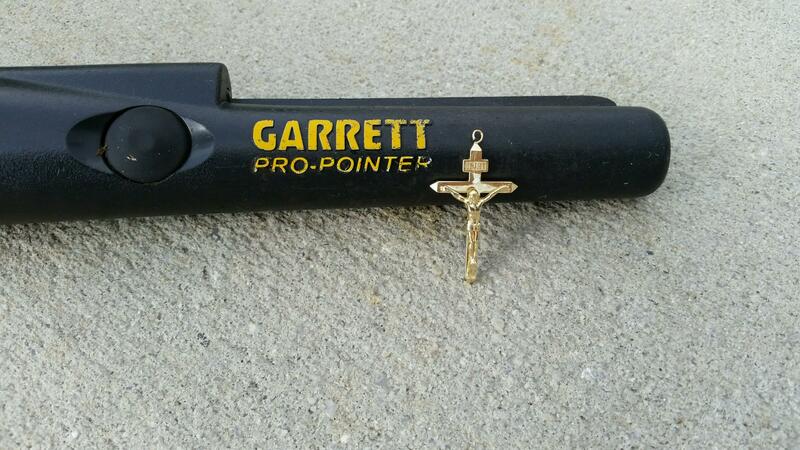 Received a call about a lost crucifix from a gentleman who found our SRARC Ringfinders website. His son Charles realized he had lost it after using the trampoline in the backyard and then walking to the mailbox. Howard Metts and Dimitur Alipiev did a search of the yard and Howard got a good signal. Howard then used his pinpointer to coax it out of the grass. What a way to start the weekend. Wayne was working in his backyard when he realized his wedding band had come off. He contacted Stan Flack after finding our SRARC Ringfinders website and Stan contacted Howard Metts and Dimitur Alipiev to do the search. Twenty minutes into the search the ring was found. Jordan and Nick were having a great time on the beach at Honeymoon Island and decided to get some food. After walking away Jordan realized her 3 rings were missing and walked back to their beach spot to search the sand. 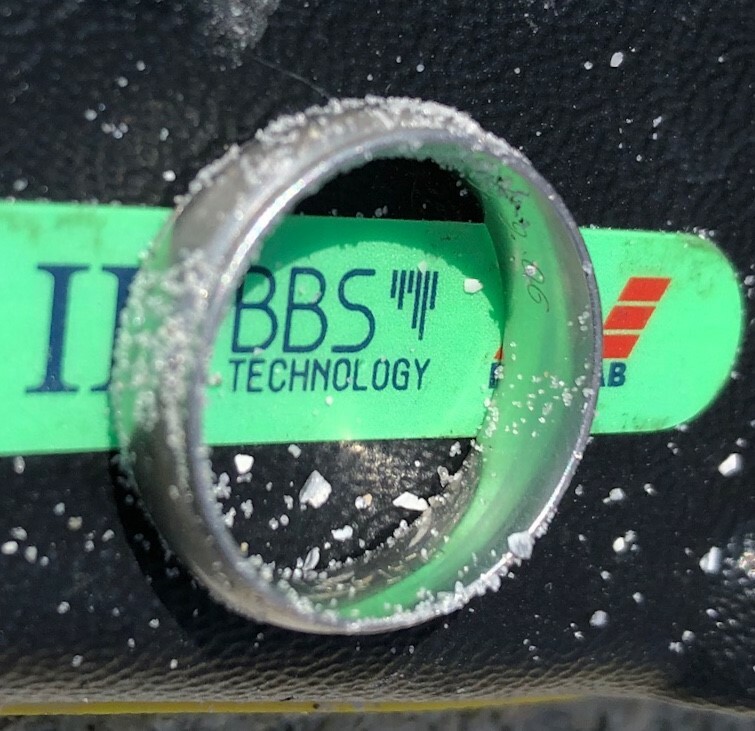 They were able to find 2 of the rings, but the engagement ring eluded them. They contacted the Ranger and we’re told to call Howard Metts. 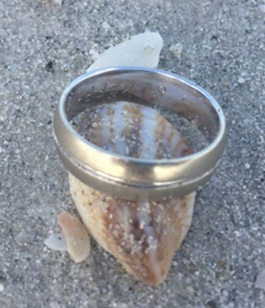 Twenty minutes later HOWARD arrived at the beach and was able to find the ring in less than a minute. What a great way to end a Sunday afternoon. 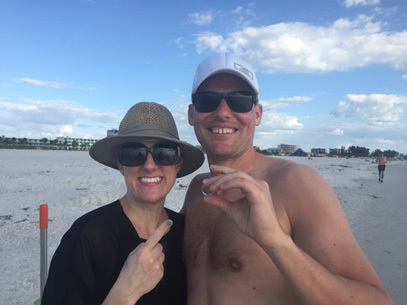 Michael and his Wife Emily of Alexandria, VA were taking a short vacation to visit his 94 year old grandfather in Venice, FL then spend a couple of days at Treasure Island Resort. Michael and Emily went out to the beach and shortly after arriving Michael went to the waters edge to wash his hands and his wedding ring slipped off his finger and out of sight. 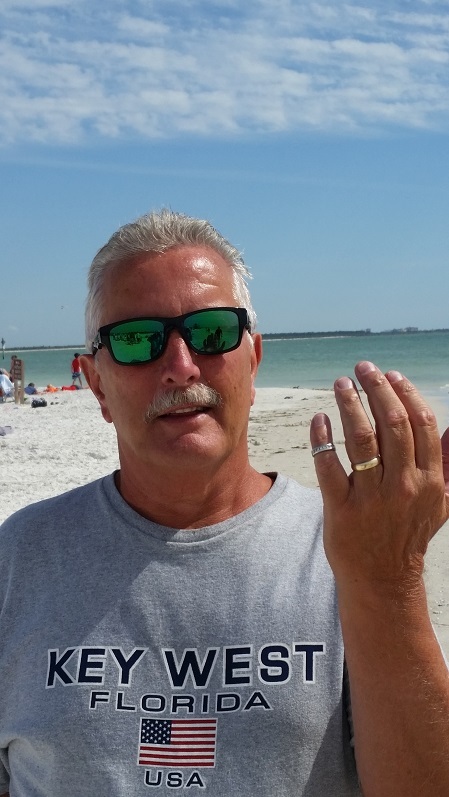 After searching the sand for a while he started googling “how to find gold rings in the sand and came across theringfinders.com website and contacted Tom Jones and asked if someone could help. Tom met the couple later that afternoon, Michael told Tom exactly where he thought it was and 45 seconds after turning the detector on Tom finds the ring exactly where it it was supposed to be and returned it to the smiling pair. This one took 45 seconds to recover. Michael, Emily, Tom and of course, the ring. Christi leads a cheerleading team in Oldsmar, Florida. 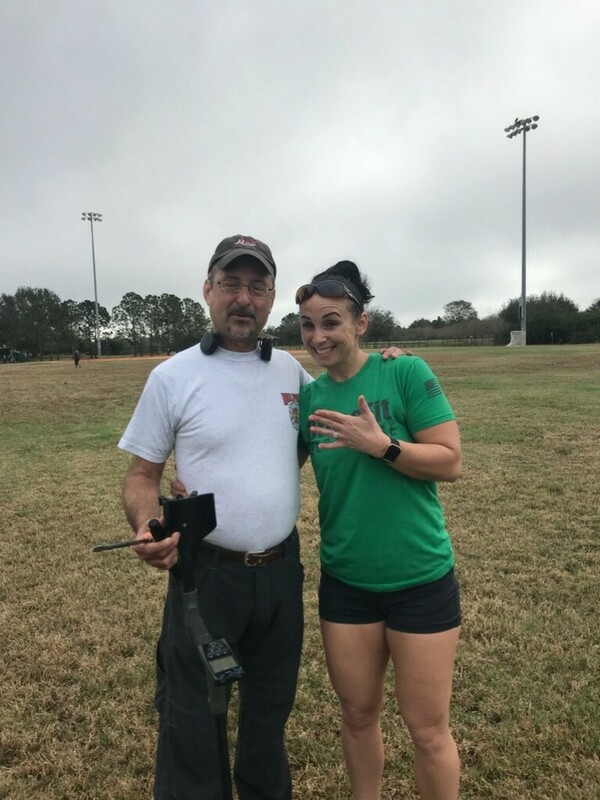 On Wednesday night, prior to practice, she had removed her wedding band and engagement ring and set it on top of her bag. With darkness falling and practice over, the girls grabbed their bags. Christi gets to her car and reality steps in !!! My rings !!! Racing back to the corner of the field, no rings were found. 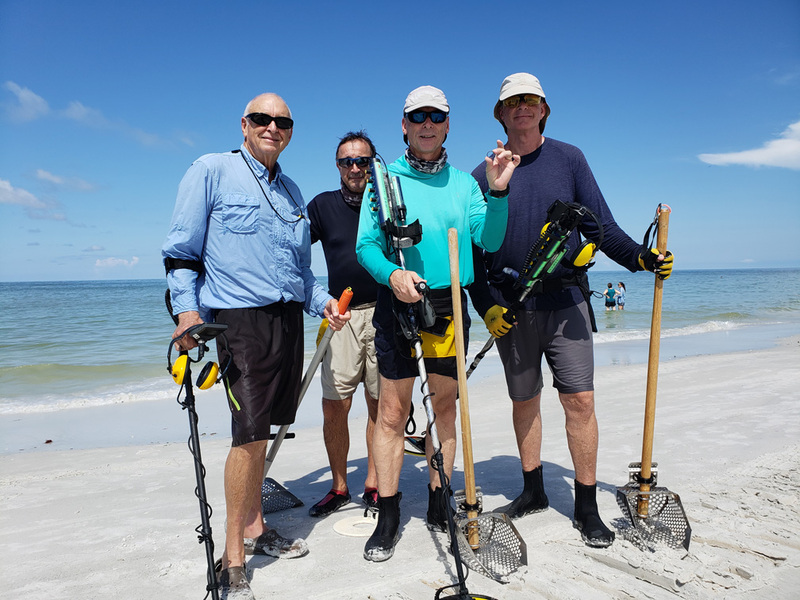 On Thursday, Ryan, her husband was able to borrow a metal detector at work. Four hours of gridding and searching delivered a big, fat goose egg. 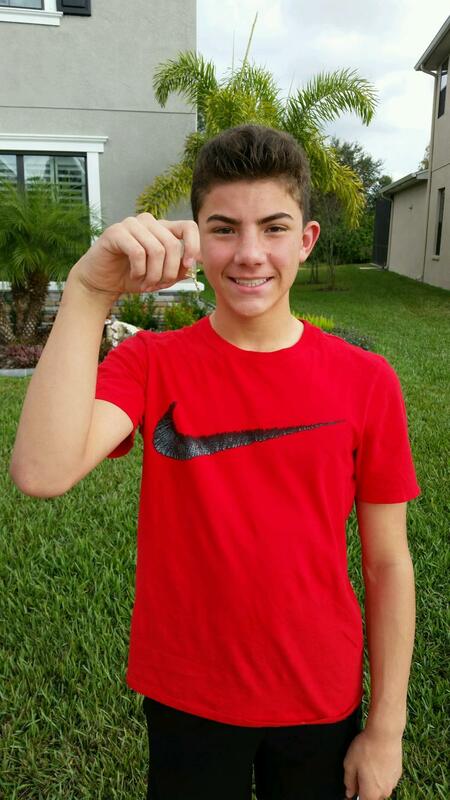 Ryan did some internet searching and was lead to the Suncoast Research and Recovery Club and their team of Ring Finders. Mark Prue got the call from Ryan on Friday and the three agreed to meet in Oldsmar the following morning. After dodging a disc golf tournament, dog walkers and a cricket match in progress, Mark started searching the area. The second target Mark came across found his XP Deus screaming GOLD !! A quick search with the pinpointer confirmed it. He pulled the grass aside and there it was !!! He called Christi over, told her to look here …..hugs and tears ensued !!! Another return for the Ring Finders !! 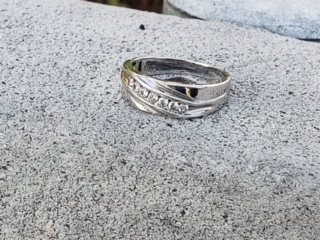 A wedding set recovered. Christi with Mark. Mark snaps a picture of Christi’s recovered wedding ring set.